In Virginia, the division of property in a divorce depends upon what kind of property must be divided as defined by Va. Code § 20-107.3. There are three categories of property 1) Separate property, 2) marital property, and 3) hybrid property. Separate property is property owned before the marriage or earned solely because of the investments and efforts of a single spouse in the marriage. This property remains with the party who originally owned it. Marital property is property earned during the marriage or appreciated in value thanks to the efforts of both partners, and is usually divided 50/50 between the parties. Hybrid property, however, is property for which part of the value is separate property and part of the value is marital. A common example is where a couple marries and one spouse makes the full down payment on the house with her savings from before the marriage, but both parties pay the monthly mortgage together until the divorce. 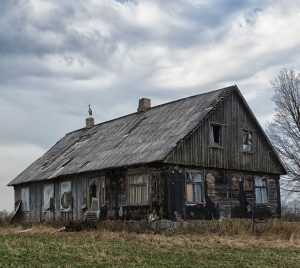 While separate and marital property is somewhat easy to equitably divide, the mixed nature of hybrid property complicates things. Virginia courts have settled on several methods to determine the appropriate division of hybrid property: the 1) Brandenburg formula; 2) Keeling formula; or 3) the Reasonable Rate of Return formula. Brandenburg was a Kentucky Court of Appeals case which created a formula to divide hybrid property. (Brandenburg v. Brandenburg, 61 S.W.2d 971 (Ky. Ct. App. 1981)) The Court of Appeals of Virginia adopted the Brandenburg calculation in 1998 and it quickly became the standard formula used by Courts in Virginia. (See Hart v. Hart, 27 Va. App. 46 (1998)). Under the standard principles of equitable distribution in Va. Code § 20-107.3 the separate interest would go entirely to the spouse who made that contribution and the marital interest would be divided fairly (often 50/50) between the spouses. While Brandenburg is useful, it is not always fair. It can quickly create unequitable divisions of real property when multiple mortgages or liens encumber real property because it only considers the initial down payment and future payments towards the mortgage. All other costs of the house, such as carrying costs or interest, are not included in the calculation. Suppose a couple purchased a home and agreed to divide the expenses using their separate incomes. The couple agreed that the wife would pay all the interest, insurance, utility bills, and grocery bills for the family, while the husband paid down the mortgage. At the time of the divorce, under Brandenburg, the husband might get 100% of the house while the wife got nothing, even though their expenses to take care of the home and the family may have been the same. While Virginia Courts quickly applied Brandenburg after it came out in 1998, and it is the most common method used to value real property and retirement accounts, the Court of Appeals never held that it was the only acceptable method to divide hybrid property. The Court specifically held that “the Brandenburg formula is an acceptable method” of valuing hybrid property, Hart at 66. (emphasis added.) But the Court has also emphasized in later case law that “other methods may be equally acceptable.” Martin v. Martin, 27 Va. App. 745, 753 (1998) and where a strict application of the Brandenburg rule would lead to an unfair outcome, Courts have been willing to consider alternative calculations. In Keeling v. Keeling, 47 Va. App. 484 (2006), the Court recognized that a straight application of Brandenburg would have created an unfair result. In Keeling the parties purchased a home for $394,000 and it had appreciated to $825,000 at the time of the divorce due to market forces. At the time of the divorce the parties had $515,946 of equity in the home. The husband had made the initial down payment of $108,439 from his separate funds when the house was first purchased, but the couple had paid little towards the mortgage during the marriage. Husband contended that, under Brandenburg, the wife’s marital share of the home was $19,930 and his separate and marital share of the home was $496,016, or essentially the entire value of the house. The Court in Keeling, relying on the language from Martin and Hart held that a straight application of Brandenburg would yield an unfair and unequitable result. Although the husband had made the initial down payment, the wife was equally liable on the mortgage and shared the risk of the loan. In such a case, where the change in value was solely due to market forces and not the actions of either party, the Court may use its discretion to calculate the division of hybrid property in another manner. In Keeling the Court divided the hybrid property by determining that the down payment by the husband of $108,439 was 27.5% of the total value of the home when it was purchased. So, the Court determined that 27.5% of the equity in the home was the separate property of the husband and the remaining equity was a marital share to be evenly divided between the parties. To date, the Virginia Courts have not declared that only one formula or another may be used to divide hybrid property. Brandenburg and Keeling state they are simply two formulas which may be used, but other novel methods which may be proposed by counsel or borrowed from other jurisdictions are not prohibited. Indeed, Brandenburg was a Kentucky case applied and then adopted in Virginia. One method used in at least one Circuit Court case to determine the equitable division of hybrid property is the Reasonable Rate of Return formula. See Thomas v. Wiese, CH2003-185175 (Fairfax Cir. Ct., McWeeney, J.). To determine a party’s separate interest in hybrid property via a reasonable rate of return, the Court simply applies a rate of return to a party’s separate investment in an asset. With real property, the initial down payment would be given a rate of return during the marriage and that value will apply to the separate property. The Reasonable Rate of Return formula is flexible because the court can apply whatever rate is appropriate if it is not arbitrary or based on speculation. The rationale of the Reasonable Rate of Return Formula is to give back one party’s initial investment plus an appropriate amount of appreciation for the investment. Whatever formula the Court uses, it is vital that a party be able to trace and identify their individual, separate contributions to any piece of marital property. While we have focused on real property, the same rationale applies to almost any valuable property which gained value during the marriage. Having an experienced family law attorney to help you determine your separate contribution and convince the Court to apply a favorable formula to divide the property is paramount to a successful and equitable division of property. 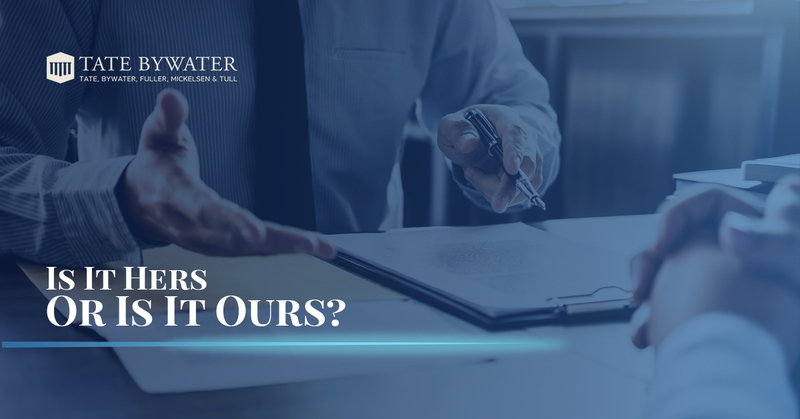 Contact the attorneys of TATE BYWATER today to discuss equitable distribution or other family law issues related to your case.